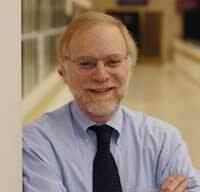 Posted on Mon, Oct 29, 2012 : 5:13 p.m.
As federal funds have plateaued from major research funding institutions, scientists at the University of Michigan’s Comprehensive Cancer Center are facing a growing funding gap over the next five years. The National Cancer Institute awarded the Cancer Center a $28.4 million grant to fund the center through 2017, officials announced Monday. It’s the same level of funding the center has received in renewal awards in 2007 and 2002. The grant is the “glue” of what makes the research activities possible, said Dr. Max Wicha, director of the center. U-M's Cancer Center employs 337 faculty members that care for cancer patients and conduct research for ways to improve treatments. Research efforts include clinical and prevention/control programs, cancer stem cells, experimental therapeutics and cancer genetics. Wicha said the center had applied for a 65 percent increase in the grant from the National Cancer Institute, and was approved for all but 2 percent of the increase. However, because of the freeze the National Institutes of Health has put on research grant dollars, U-M’s Cancer Center only was able to receive a renewal of the grant funding from previous years. The renewal funding doesn’t mean the U-M Cancer Center will be cutting back its programs, Wicha said. The Cancer Center will be heightening its efforts to secure funding through philanthropy and national fundraising campaigns. Additionally, partnerships with biotech and pharmaceutical companies at hubs like U-M’s North Campus Research Complex will be increasingly important to fund cancer research projects, Wicha said. “In order to take advantage of the new opportunities that are being created in our science, we have to raise more funds,” Wicha said. To receive the grant funding renewal, the Cancer Center submitted a 1,900-page plan and underwent a review in the fall of 2011. 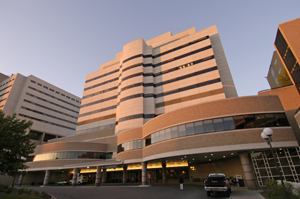 The center received an “outstanding” rating, and the renewal of its “comprehensive cancer center” status. In the face of the National Institute of Health’s funding problems, U-M’s Cancer Center would have received a huge funding cut had the center not done so well during its evaluation, Wicha said. Wicha said if the National Institutes of Health was having a regular budget year, the Cancer Center would have received a large increase in funding. Regardless, the Cancer Center received the most funding from the National Cancer Institute among academic medical centers in 2011. With the 65 percent funding increase they applied for, Wicha said the Cancer Center was going to fund faculty in new clinical research facilities at NCRC. “The money that comes in for the research here has a big impact on the economy,” Wicha said, noting the Cancer Center has spun off about 10 biotech companies in the area. Tue, Oct 30, 2012 : 3:57 p.m. So the FACT that scientists are NOT funded by democrat obama as billions are wasted on his green socialist crony capitalism does not deter you from voting for the worst president in a hundred years? LOL The perfect obama drone - jack booting right over the edge. Speaking of education, myopic union leaders have the same problem. You may all refresh yourselves on the definition of insanity. I sympathize with scientists at the U doing true research. Unfortunately for them, they have been poorly lead to believe that democrats are their friends (see the auto industry eviscerated by Congressional eco nut Pelosi) and seem incapable of changing course even as REAL FUNDING IS CUT. Of course this entire generation of science has been poisoned by the &quot;human controlled global weather fraud&quot; created by Al Gore and his fellow profit monkeys. As a result, a generation of agenda driven, corrupt, nonsensical eco babble wrapped up as &quot;science&quot; has wasted not only massive human potential, but hundreds of billions of taxpayer dollars in everything from grant money to phony green energy schemes that lead no where. Certainly those doing the real medical or national defense research that benefits us all will still suffer as a result.....as they should. Tue, Oct 30, 2012 : 3:13 a.m.
Public money should never be used to subsidize private industry nor should it go to fund research unless the PUBLIC OWNS ALL OF THE IP generated from work. This includes any licensing revenues, free access to journal articles, 100% ownership of any spin off business, etc. Tue, Oct 30, 2012 : 1:24 p.m.
That eliminates any incentive for scientists and universities to generate and protect IP in public research. Clerks will have to (sleepily) be looking over the scientists shoulders to see if there is anything worth patenting. We will need government lawyers, who won't really care, to defend the patents against infringement. Who will want to spin off a new business with your plan? Officials from the government with little expertise in the matter, and who also have little skin in the game? Maybe we can introduce language to say that scientists have to pretend to care about the IP, even though they will have no stake. I'm not saying just how to work out the formulas is simple to decide. I am saying that simply seeming to be more fair is not evidence that it would create more economic activity, more jobs, or more revenue. Disclaim: I'm on a few patents, but the rewards are miniscule. Tue, Oct 30, 2012 : 1:06 a.m.
Another obama failiure. He wastes billions of taxpayer dollars on his green fantasies that fill the pockets of his camaign bundlers with cash, but real scientists working on real research can't get funded. As if voters needed another one, this is just another reason to throw the worst president in a hundred years out of office next month. Tue, Oct 30, 2012 : 4:05 p.m. If you mean a tragic deficit in their educations, I could not agree more. The infiltration of the hate America crowd into the US school system all the way through the university level is a poison that will damage this country for decades. We are seeing it in action as the left educated North Korean style worship media actively covers the government's massive incompetence and resulting heroic tragedy in Benghazi. At this point it is clear that with very few exceptions, the corrupt US media are little more than government stooges, making them the enemy of every American who cares about truth and justice. Tue, Oct 30, 2012 : 10:17 a.m.
Funding for scientific research funding has been an issue since at least the 1980s. Nevertheless, most scientists tend to be fairly progressive, perhaps it has something to do with education. Tue, Oct 30, 2012 : 4:52 a.m. Wait, what?!?!?! The GOP is the number one enemy of science. Check your facts first, bro. There's a reason why scientists are overwhelmingly not republican. Tue, Oct 30, 2012 : 4:18 a.m.
Romney proposed eliminating the National Institutes of Health, provider of many of these research grants. He also proposes eliminating FEMA, I'm sure the flood victims in the East would love that idea. He also would greatly reduce funding for the FDA and CDC, as the demands for their services increase exponentially. And his is just a start to reduce what he calls immoral spending. Unbelievable, huh? Tue, Oct 30, 2012 : 12:31 a.m.
Half of everyone alive will someday die from cancer. The fact we have trillions for killing, but lack mere millions to potentially save the lives of 150 million Americans alive today, is appalling. Tue, Oct 30, 2012 : 12:22 a.m.
First of all congratulations to the renewal of the grant! Not an easy feat in this environment, and without it none of the good work the Center is doing would be possible. And I hope that the innovative fundraising strategies can build on this and leverage this base funding to create new breakthroughs in cancer research.